Freelancing has eventually became one of the most preferred option for careers in Pakistan and Globally. In my How to Start Freelancing article, I have considered it as one of the quickest ways to earn money online. Do you know 53 million Americans who are associated with freelancing which is 34% of the overall workforce in US? There are not much figures available for Pakistani work force, but various sites such as Payoneer consider Pakistan as 4th Capital of Freelancing. 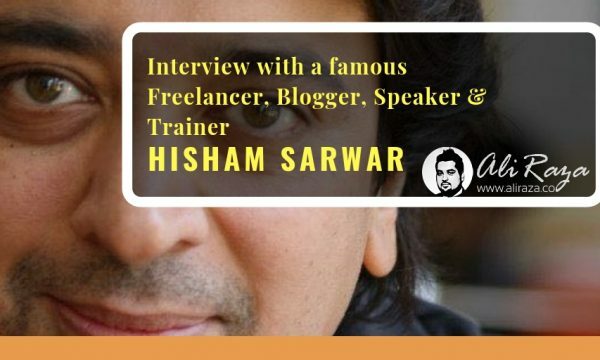 There is so much talent in Pakistan, and one such inspiration from here is Hisham Sarwar, a famous freelancer, blogger, speaker & trainer with years of experience in this field. 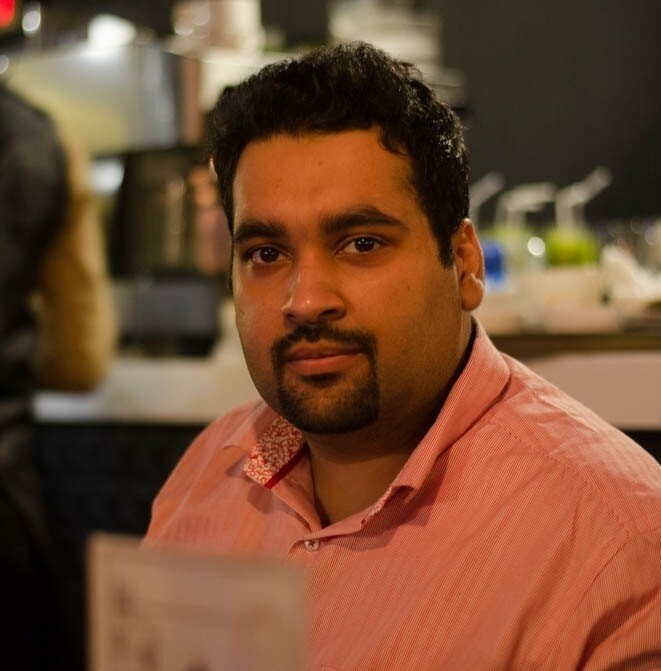 ProPakistani has already admired him due to his work in the online industry and few of people in our industry already call him a Million dollar guy, because he has joined the million dollar club few years ago with his online earnings. I asked him for his interview and he was very polite in accepting the gesture, Thank you sir. Now let’s checkout the Interview. 1.1 Please answer following What do u do exactly? 1.2 I also know you as a freelancer/business person what change exactly you had which convinced you to be turned into a trainer to help million of people? 1.3 If you go back 15 years from now, would you like to change anything in yourself? 1.4 Where do you see yourself after 10 years? 1.5 Who is your source of motivation? 1.6 What is your greatest accomplishment so far? 1.7 Tell me one thing u regret u have done in your life. 1.9 While training so much people, what did you find? 1.10 What is the core problem of your youth which they should work on? Please answer following What do u do exactly? Me: That’s great to know, I have been following you from quite a time and I have also heard about beingguru.com frequently. I also know you as a freelancer/business person what change exactly you had which convinced you to be turned into a trainer to help million of people? Answer : Pure accident, I discovered by accident that if you help people, Allah gives it back to you in such mysterious ways you could not have best possibly imagined. Training is giving, sharing knowledge with those who are looking to change their life. My prime objective is to reshape every Pakistani life through series of trainings online/offline and convince them ‘yes you can’. Me: MashaAllah thats great to know, you are already an inspiration for many, great going. If you go back 15 years from now, would you like to change anything in yourself? Answer : I wish I had develop a reading hobby which I currently do. I typically read around 30 books a year. Reading made me a better person and interestingly I got to know that, more I read, less I know. Reading helps you in your communication, life and business. Me: Still better late then never, reading is definitely a great habit but i have seen very few people from the local community who actually like reading. Even if you study top people in the world, majority of them are book readers. Answer : Well who has seen 10 years but lets see. I would like to make BeingGuru world’s famous motivation/inspiration and tech blog. I plan to release its clothing merchandize in Pakistan and India. I want to take my trainings to the next level by reaching out to more people, especially in remote cities of Pakistan such as Thar, or perhaps swat in KPK and Zhob in Pakistan. Every Pakistani has a right to get education; I am on that mission already to teach people through internet. My internet videos are all free, I don’t charge a single penny. My seminars, workshops (physical) are paid though. Me: BeingGuru is definitely a great blog, I also have plans to make a guest post there. I believe your trainings are already going very well and i wish you best of luck to increase the reach. Who is your source of motivation? Answer : My inner happiness. Anything that pleases my soul is my source of motivation. I love reading a lot, I do lot of experiments with my work and I love walking, it energizes me to think better. World’s 70% of rich people read. I fail to understand why people do not develop this amazing habit. Me: Actually I feel the local community here is not trained to read, so they are missing on to learn more due to this. Answer : Getting featured on Guru.com home page hall of fame for 2 years, remaining the top seed freelancer on guru for good 14 weeks is something I will cherish all my life. Recently, the very idea of changing people life by giving them education pleases me a lot. Tell me one thing u regret u have done in your life. Answer : I regret not starting early and catching on the computer wave. The 1st mover advantage could have been well capitalized had I acted earlier and started working online around late 90’s when windows emerged. Me: Still better late then never, best wishes ahead. Answer : I am self employed for almost two decades. The very idea of contributing in the lives of people, people who surround me as my employees or students who live far across pleases me the most. I have discovered my purpose of existence, i.e to share knowledge and contribute in the lives of the Pakistani people. While training so much people, what did you find? Answer : People are hungry to learn but they are afraid to reach out and seek knowledge. What is the core problem of your youth which they should work on? Answer : Not taking action. By not acting, youth is depriving themselves of even standing a chance of making an impact. Also the art of communication should be learned. If you can communicate well, there is good chance that you will prosper in life. Me: Very good tip, indeed. Me: You summarised very well. Answer : We often think about doing things but we are unable to do. That is because of the presence of fear. The fear does not allow us to take actions. The fear of failure, the fear of losing in life race or our loved ones. Once we realize, our destiny is written by the greatest artist in the universe, this one thought should suffice to live a fearless life. I believe, what’s in our fate can’t be taken away and what’s not in our fate can’t be achieved. Thanks everyone for reading out the interview. For those who want to learn, Hisham Sarwar, story is quite deep and amazing. You can learn many things from him as such I was able to, but i don’t mind in accepting this. Without a doubt he is an inspiration for already freelancers and upcoming people in the IT industry as a whole. His courses and trainings are widely available, let’s appreciate his cause and give him a bundle of thanks. Thank you Hisham Sir for changing lives. So What Did you Learn from this Interview? Share your Thoughts via Comments. I’ve always been inspired by Hisham bhai. I got to know him through freelancing circles and he is doing a great job. May he continue to prosper and help change lives.